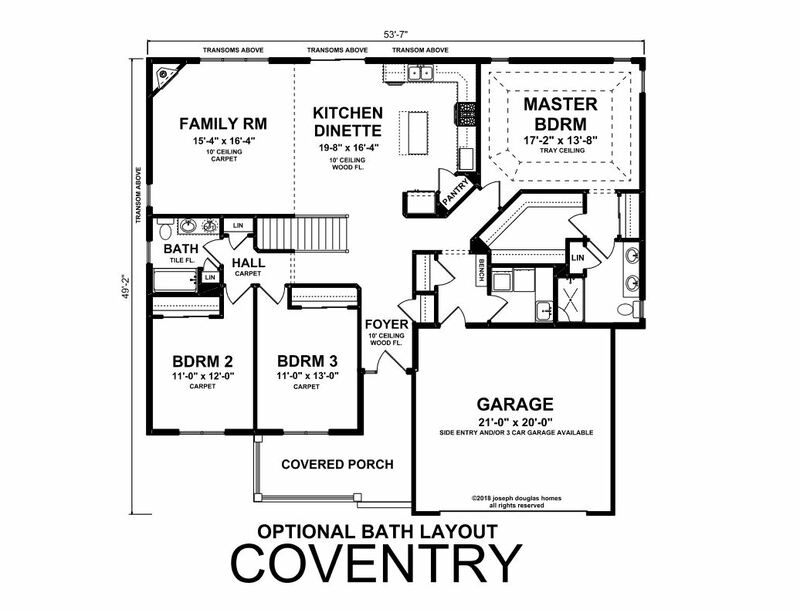 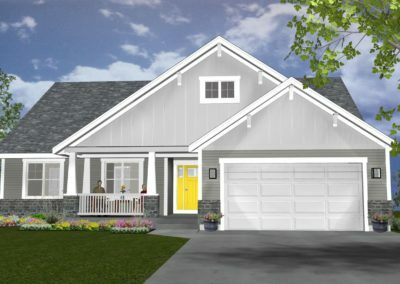 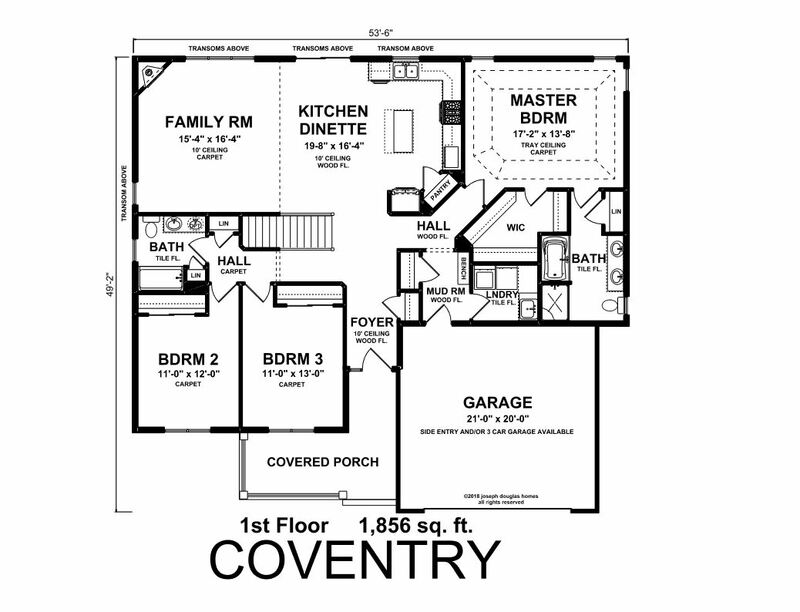 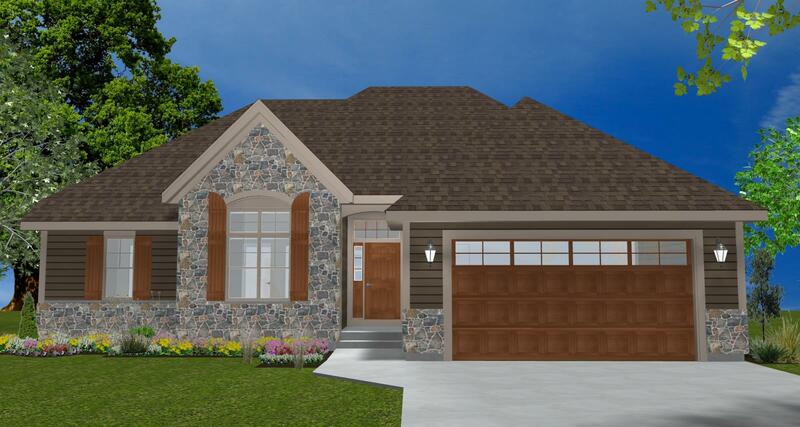 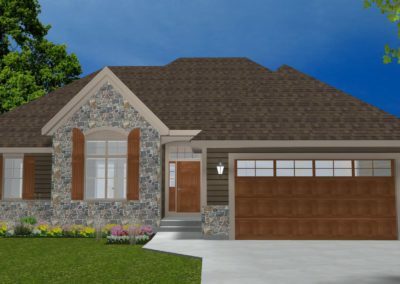 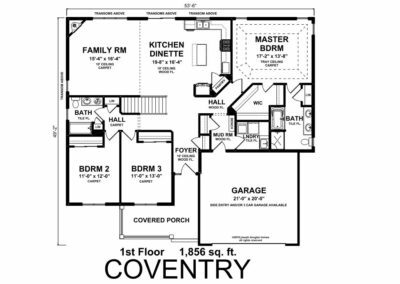 The Coventry plan is unique in that it offers an open great room concept normally available only to two story designs. 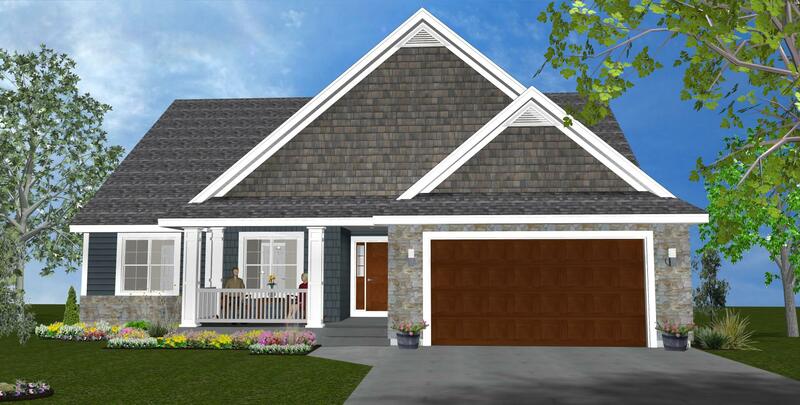 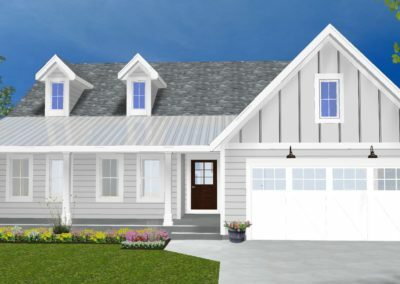 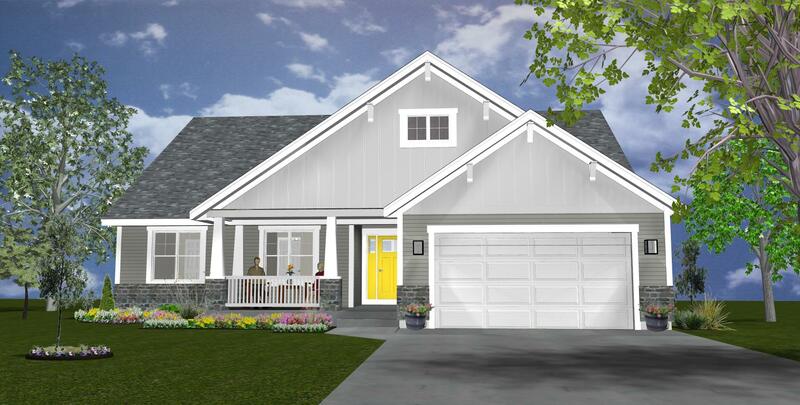 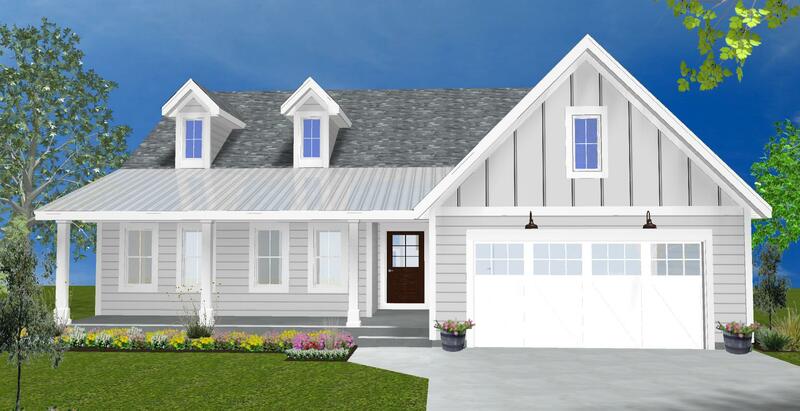 This split 3 bedroom design ranch has all the typical Joseph Douglas design features such as Master Suite complete with separate shower and tub, spacious mudroom with bench, separate laundry room, spacious secondary bedrooms, and lots of storage. 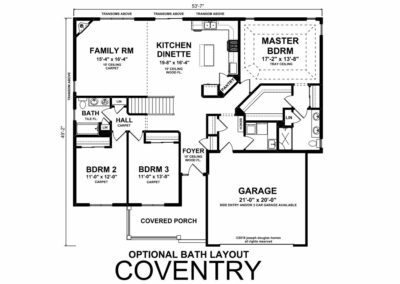 As an added bonus, this home is designed in such a fashion to fit the width requirements of the narrowest of lots.